The WashDC Leaky Cauldron is leaking once again; it’s a permanent leak, what else is there to say. VOA News reports that senior administration officials say U.S. President Barack Obama will nominate his top Russia advisor as the next ambassador to Russia. 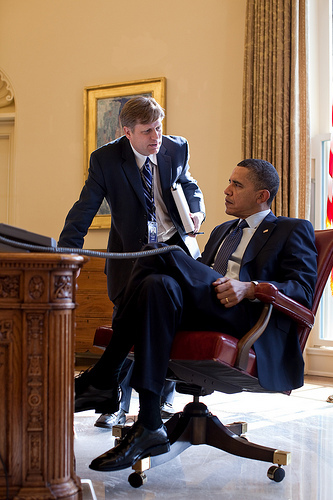 Obama plans to nominate Michael McFaul, the architect of the administration’s so-called “reset” policy under which the Obama administration sought to re-energize bilateral ties that were widely seen as strained under the administration of former President George W. Bush. The officials, who spoke Sunday, did so on condition of anonymity. Read his bio here as Stanford Professor of Political Science; Peter and Helen Bing Senior Fellow, Hoover Institution (he’s currently on leave).